I saw this blog post and had to let you all see this wonderful video. It is really just too good not to share. Enjoy! When we first moved to our new home, we searched out a church. To our delight, we quickly found a place where we felt comfortable and we therefore invested ourselves in our new church home. We had been here about six months when the rug was pulled out from underneath our feet and we learned that the priest we so loved was not universally liked. In fact, there was a faction within the church who didn’t just dislike him. They were waging an all-out campaign to make him leave. I will stop here and say that there are many people who would look at this situation and point out that this is what’s wrong with organized religion. People who ascribe to a religion are not about helping others or living up to the ideal that Christianity/Islam/Judaism (insert your favorite religion here) describe. My response is that you find this kind of thing everywhere; in the work place, in families, in social groups of all kinds. It is a part of being human that we are petty and will resort to underhanded tactics to keep our status and power. After we discovered the secret underbelly of the people we worshiped with, we were understandably unnerved. In one horrific scene, we witnessed people condemning our priest of silly and petty things. Of course, to those making the accusations, it did not seem silly or petty, but from our vantage point as new members, it sounded like personality conflicts and misunderstandings. You know, the kind of things adults work through and move on. Such was their frustration at this priest that now, four years after we got here and six years after he took the job, they finally managed to make him leave. Consider that for a moment. These people spent six years working on getting him replaced. As soon as they were sure it was going to happen, the priest and his wife took the time to have lunch with us to let us know. Frankly, we were not all that surprised. I have been more impressed with the fact that despite the health issues caused directly from this battle (the priest had a heart attack 2 years ago, his wife ended up in the hospital for stress-induced medical problems) they stayed as long as they did. They asked us to stay at the church, to help the people rebuild it. Despite everything that has been done to them, they still want what is best for the church and its congregation. Right now, Hubby has said he plans to stop attending any church for a while. I understand. When people act this way, it makes it hard to believe that there are good people out there. It makes it hard to trust again. My plan is to find another church to attend. I was thinking of going back to our church, but I don’t think I can without Hubby. And while he may need to take a break, I have already been through this type of questioning. For me, I choose to find another church home for me and my children. I know it’s what I need. 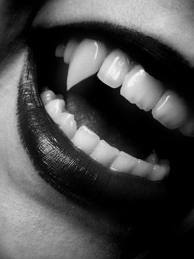 Hubby may come with me later on. It’s his choice. which blooms in placid beauty at Verdun. it will not bring pain to the dreamer. when nature’s mighty rampage halts, full spent. Muted sound entered his consciousness as he rolled onto his side. The warmth of the blanket, draped intentionally over his head to capture the most heat around his body, lulled him into sleep once more. A moment later, or was it more, he was jarred back to the waking world as someone, presumably his father, pulled at the comforter surrounding him. He clung to its edges, attempting to forestall the inevitable. Eventually, his father won and the boy squinted into the frustrated face of his male parental unit. The father shook his head menacingly, letting the boy know that playtime was over. He sighed. It was cold in the room and the bright light from the overhead lamp stung his eyes as he attempted to block the light with his arm. He moaned at the thought of starting the day. Wasn’t it too early? Hadn’t he just fallen asleep? Life was unfair, he thought as he drug himself from the comfort of the bed to start his day. Cereal for breakfast would be nice…. Despite not writing very much lately, or perhaps because of it, I have done a plethora of reading. It’s inevitable, when you work at the library, to come across some really great titles that capture your attention. Also, I have taken it upon myself to ‘help’ our collections development manager and seek out new titles and suggest he order them. The result is an avalanche of new books coming in for me to read. Heaven! 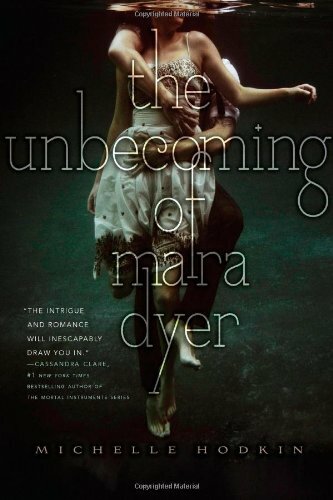 ‘The Unbecoming of Mara Dyer’ is a young adult novel set largely in Miami, FL. Mara, the heroine, has suffered a traumatic event that she does not entirely recall, but which killed her friends while leaving her strangely unharmed. Her hallucinations from the PTSD she suffered as a result of the accident follow her when she and her family move to Florida. She has a difficult time adjusting to her new private school which is full of the requisite bullies and pretty people. It is here that she meets Noah Shaw whose bad boy reputation makes her wary of him from the start. Their relationship grows and becomes more encompassing, and healing, as the story moves along at break neck speed. Mara’s dreams/nightmares are allowing her to remember more and more of what happened to her the night her friends died, but it is taking too much time and she is convinced there is something important she’s missing about that night. She’s right. And once she does recover her memories, she is thrust into a whole new set of problems and consequences that must be dealt with immediately. I love the fact that this book plays with your mind. You are along for the ride with Mara and her hallucinations making what is real and what isn’t is as much a mystery for you as it is for Mara. As a result, the ending not only comes completely out of nowhere, you also can’t be sure if it’s real. Mara herself is not a reliable witness to what is going on around her, but her sharp wit makes the trip worthwhile. Another aspect of the story that I really like is the love story between Mara and Noah. It’s shades of ‘Twilight’ with an Edwardesque character who is smart, good looking and rich. Oh yeah, and utterly devoted to the heroine. Be still my heart. Their smoldering sexuality is barely kept under wraps. Though I highly recommend this book, I must warn you that it is a first in a series, though I have no idea how long the series may turn out to be. It appears to have a love it or hate it quality since the reviews are rarely in the middle. If you decide to read it, please come back and let me know what you think of it. I would love to know how you reacted to the story. As for me, I just can’t get it out of my head…. Laughter is the best medicine. Except for like, real medicine. It was much too hot as Cali and I pulled up to the crowded gas station to wait our turn to fill the on-the-verge-of-empty gas tank in my truck. Cali and I have worked together for about four months. Between Cali and his wife, they have two jobs, one baseball-genius son…and one car. So Cali gets rides from me the four days a week we get off from work at the same time. Working in the circulation department of the local public library has proven fun for me. There is an almost constant stream of characters that pass by the front desk where they are accosted by my greeting, whether they choose to acknowledge it or not. The work can be fast paced, like the days when more people and books come through our doors than we can handle, but there are lulls in the day as well. Most importantly, my bosses seem to be more laid back than at my previous paid job. In a previous incarnation (the one before I became Mom and stay at home worker), I was a legal secretary. Not one trained for the job, mind you. They hired me based solely on my inexperience since they could then pay me just over minimum wage and know I would be grateful. Everyone at the firm started work promptly at 9am, except for the receptionist who was to come in at 8:30am. The receptionist was a lovely older lady who had gone back to work after her husband retired. Ms. Gray arrived every morning just before 8:30 and was left to wait outside the front door of the office, rain or shine, hot or freezing cold or some combination thereof, until the junior attorney assigned to open the office early arrived. This was because they could not possibly trust Ms. Gray, who had worked for them a mere seven years, with a key to the front door. Junior was rarely on time and I know this because one year into my five and a half year employment with them, I began to come in a sanctioned half hour early at 8:30am. Ms. Gray’s husband often parked in front of the building, especially on cold days, so that we could wait in relative comfort for Junior to turn up and release us from the waiting purgatory. One cold morning, I decided I should engage Mr. Gray, a somewhat surly lump of a fellow, in conversation. I thought better of the idea a little too late, somewhere in the midst of his rant about some teenagers who were thoughtless enough to cut him off the previous day in traffic. He was infuriated and had followed them, wishing to let them know his fury by screaming some expletive or other at them, keeping the anger alive by recounting the story in as much vivid detail as he could muster. Shocked into silence, I only dared to respond as I saw Junior walk up to the office door. ‘That’s a lot of negative energy to expend on people who don’t even know you exist,’ I commented as I left the vehicle. It was the last time I saw Mr. Gray since he made Ms. Gray a widow just a few days later. None of this was on my mind as Cali and I sat in the line, or at least what I thought was the line, at the gas station. While we chatted, I saw an opening start to come available, but before I could take advantage of the opportunity, another car came in and whizzed around my puny little truck and snagged the open spot at the tank. Furious at such inconsiderate behavior, I quickly pondered my options…1- Get out and yell at the people, 2- Honk my horn, but wait until another spot came available to then fill up my tank or 3- Squeal my tires as I raced out of the lot. Number one was fraught with the danger of getting yelled at or worse, completely ignored. There was also the possibility they would ask me what I wanted them to do about it and if they had to ask the question, well then it just wasn’t worth the effort. Number two was also laced with the prospect of being yelled at and frankly, I really don’t like confrontation. So number three it was! Cali’s eyes widened unnaturally as I raced around parked cars to leave the gas station and pulled out into non-existent traffic. (We live in a very small town.) Still fuming as we turned down his street, I lamely tried to explain myself, but it sounded hollow even to my angry ears. It’s only now, several weeks later, that I remember Ms. Gray’s husband and his fury at being cut off by some thoughtless drivers and my own calm and measured response. There is a part of me that has somehow been lost. I haven’t seen much of that calm, centered person in a long while and though I’m not sure where she went, but I have a feeling I know where to find her. A story of love gone wrong.